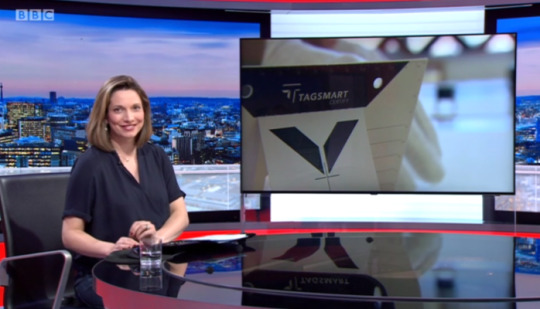 Philip Mould & Co. and Tagsmart... Yep, that just happened! We are delighted to have been featured in Melanie Gerlis’ column in the FT Collecting supplement this past weekend announcing our strategic partnership with British and Old Masters dealer Philip Mould and his prestigious London gallery. A selection of the gallery’s artworks will be marked with Philip Mould-branded tags, and accompanied by its Certificate of Authenticity and secure digital record. The first artworks to be tagged will be by Sir Cedric Lockwood Morris. Jan and Chris Starckx purchased what they called The Portrait of a Child at an auction for just €450 back in the 1970s. However, over the years, they began to suspect that they were sat on something rather special. After various trials, which even took the pair to Miami to compare the picture to another genuine Kooning, Fiona Bruce and Philip Mould arrived at the couple’s Belgian home to deliver the good news. However, despite buying the painting over four decades ago, they may not be entitled to own the portrait without being able to clear up who sold the picture to them and why. Tagsmart Certify is now live! We’re thrilled to announce ‪Tagsmart‬ ‪‎Certify‬ is now live (and they’re loving it)! Visit tagsmart.com and register your interest now!